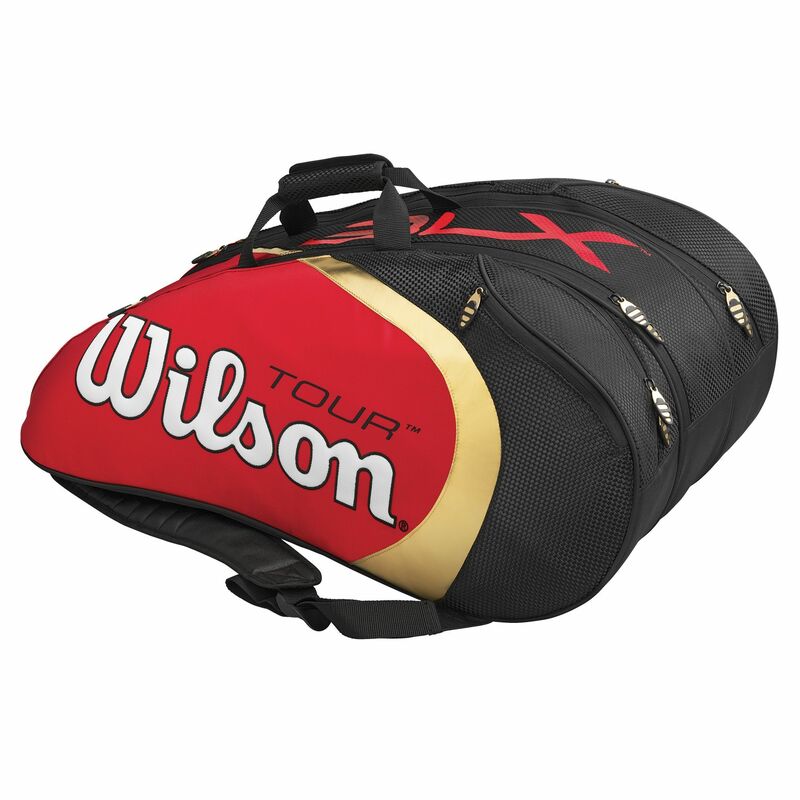 The Wilson Tour BLX Federer Super six racket bag has two compartments to store up to 6 rackets without covers. One compartment features the ThermoGuard technology to protect your rackets from changing temperatures, and the other has the MoistureGuard technology to keep your rackets dry. A large centre pocket offers you enough space to store a few more sticks or a change of clothes and a towel. There are also a number of smaller accessory pockets. A separate, removable shoe bag will store your shoes or the clothes worn during the game. The bag is comfortable to carry thanks to its padded, adjustable backpack straps. It does not contain PVC. PVC free for lower environmental impact. for submitting product review about Wilson Tour BLX Federer Super Six Racket Bag.